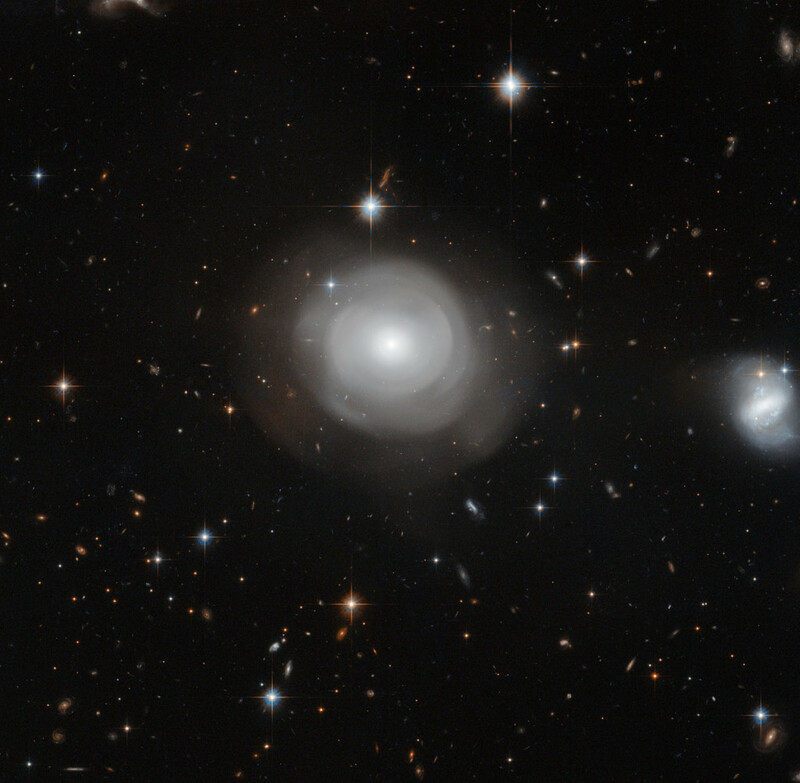 July 9, 2015 – Located roughly 270 million light-years from Earth in the constellation of Centaurus (The Centaur), a bright constellation in the southern sky, ESO 381-12 (PGC 42871), is categorised as a lenticular galaxy — a hybrid galaxy type that shares properties with both spiral galaxies and elliptical galaxies. Astronomers have studied ESO 381-12 in detail because of its very unusual structure. It was one of a sample of galaxies explored by Hubble’s Advanced Camera for Surveys during a recent study of the properties of shell galaxies created in merger events a billion or so years ago.